Put off diesels by the scare stories n the press? Peugeot hopes you'll think again after looking at the latest diesel-powered version of their improved second generation 308 family hatch, the 1.5-litre BlueHDi 130 derivative. It's cleaner, greener and very sophisticated. 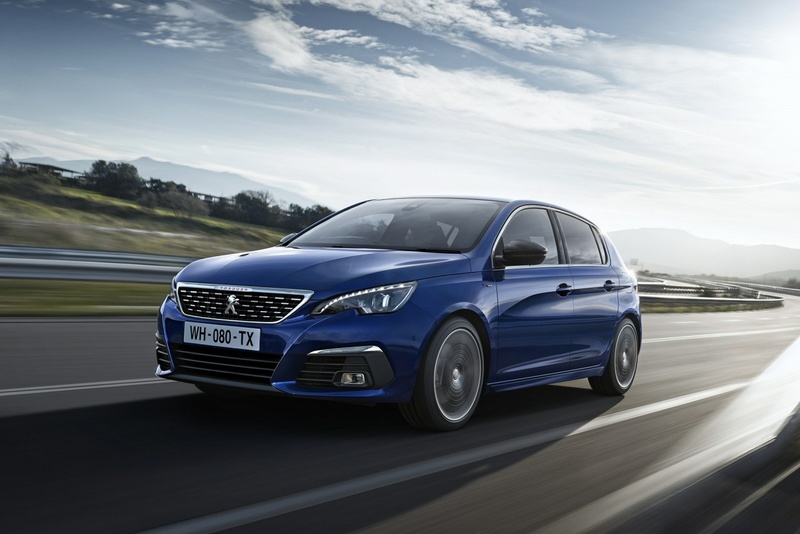 This Peugeot 308 1.5-litre BlueHDi 130 aims to do nothing less than change the way you think about diesels. Quite a task. Quite an engine? We're going to see. This is the most sophisticated of the BlueHDi engines in Peugeot's line-up and it's installed into a car that's lately been usefully improved with smarter packaging and extra media connctivity. The Peugeot brand has sold products in the family hatchback sector for longer than almost any other. Mid-sized compact Peugeots with a '3' designation actually go all the way back to the 301 of 1932, progressing through the pre-war 302 and the post-war 304 to the 305 and 306 models of the Eighties and Nineties. By then, the French brand had become less aspirational in the family hatchback segment as volume sales were chased with the forgettable 307 of 2001, the underpinnings of which also formed the basis for its less popular successor, the first generation 308 of 2007. Today though, this segment is changing, primarily with the continuing emergence of cheap Chinese and Korean rivals. Brands like Peugeot have been forced to respond by moving their cars a little more up-market and adding in new technology - like that used in this latest diesel powerplant. As our focus here is on that new 1.5-litre BlueHDi diesel engine, we'll start with that. This powerplant has been developed to replace the previous 1.6-litre BlueHDi unit and claims to offer a new era of black pump-fuelled efficiency for cars of this kind thanks to a whole range of thoughtful engineering touches, including a combustion chamber design apparently derived from that of Peugeot's 908 HDi diesel Le Mans racer. It's also more refined and responsive than the old engine, with the 130bhp unit offered from the launch of this revised model range being capable of 62mph from rest in 10.3 en route to a maximum of 125mph. The brand's 'EAT6' automatic transmission is optional. On the move in this 308, your first impressions feel positive as you settle in behind the small low-set steering wheel that's now an established brand trademark and peer above it at the slick-looking dial pack. Not everyone is in favour of this so-called 'iCockpit' layout, but we like the way it imparts a more direct, connected feel into the on-the-road experience. With this facelifted model, the brand hasn't made any dynamic changes to this car's ride and handling, but that remains impressive with a well-judged blend of responsive suppleness. The front end grips tenaciously if you do drive the 308 hard, and you'll enjoy the car's fundamental suppleness around town where the suspension does a good job in soaking up potholes and speed bumps. Whether you choose the five-door hatch or the alternative SW estate which rides on a lengthier wheelbase, you'll be getting yourself a family hatch-class car that's a little shorter and narrower than the class norm - and a touch lower too. But also one that's lighter and more space-efficient than most of its competitors, thanks to a modular EMP2 platform so sophisticated that it required no fewer than 116 patents. Having gone to all that effort back in 2014, Peugeot's stylists weren't minded to radically change things very much when it came to this mid-term facelift, so the aesthetic changes made are relatively minor. The brand badge has been moved down from the bonnet to a place of prominence in the centre of a now-classier chrome-framed grille you'll find flanked by headlamps with upper edges made up of twinkling LEDs. Take a place in one of the very comfortable seats up front in what Peugeot rather pretentiously calls the 'i-Cockpit' and four things are immediately apparent: quality, lack of button clutter, the big centre-dash LCD infotainment screen and, most notably, the tiny steering wheel above which (rather than through which) you're supposed to view the instruments with their finely sculpted red needles. Jump into this model after familiarisation with an Astra or a Focus and you'll wonder where all the buttons have gone. There's a small central cluster of them in front of the gearstick for locking, heated rear window and hazard lights - and that's about it. Otherwise, almost everything's been relocated to the 9.7-inch colour LCD touchscreen that's standard on all but baseline models and dominates the centre of the dash. What else? Practicality? Rear seat space is only average but there's a large 470-litre boot that grows in size to 660-litres if you choose the SW estate model. Prices for the vaious 1.5 BlueHDi 130 variants start at around £21,500 and there's a choice of five-door hatch or SW estate bodystyles. There's a choice of 'Active', 'Allure' or sporty 'GT Line' trim. All BlueHDi 130 models get LED daytime running lights, air conditioning, cruise control with a speed limiter, a DAB digital radio, Bluetooth 'phone connectivity, a USB connection, an alarm and a large 9.7-inch infotainment touchscreen with satellite navigation. Top of the range versions include features like a reversing camera, full LED headlights, an enormous panoramic Cielo sunroof, some very nice half Alcantara sports seats, keyless entry and electrically-folding door mirrors. They also get the Peugeot Driver Assistance Pack which includes Dynamic Cruise Control that maintains you at a safe distance from the car in front, Emergency Collision Braking System and Emergency Collision Alert. Unlike other diesels (including the 1.6-litre BlueHDi diesel it replaces), this 1.5-litre BlueHDi 130 unit is compatible with the much stricter 'Euro-6c' emissions legislation due to be fully enforced in 2020 which clamps down on harmful NOx nitrogen oxides in a way that's measured in real-world tests, rather than in a laboratory. This downsized diesel uses urea injection, selective catalytic reduction and a particulate trap to clean up its exhaust gases as well as implementing a more stringent at-source, at-exhaust emissions control system. As a result, it's able to record an impressive 93g/km of CO2 figure and should be capable of around 80mpg on the combined cycle. That's about the same as you'll get from the older 1.6-litre BlueHDi 100 diesel unit that continued on in the 308 range at the time of the launch of this facelifted model. Maintenance costs should be reasonable too, Peugeot having put a lot of effort in to reducing the cost of servicing when this car was originally launched back in 2014. Back then, we were told that maintenance costs would be around 22% more affordable than was the case with the first generation 308 thanks to careful parts pricing. Redesigned brakes were said to offer 40% better brake pad life, while careful control of wheel toe-in is supposed to give 20% better tyre longevity. Longer service intervals help here too; attention is needed every year or every 16,000 miles. If you�re looking for a new Peugeot 308 1.5 BlueHDi 130 GT Line 5dr Diesel Hatchback for sale, you�ve come to the right place. At Bristol Street Motors we don�t just have the best Peugeot 308 1.5 BlueHDi 130 GT Line 5dr Diesel Hatchback deals, we also offer friendly advice and help with all your enquiries to ensure your buying experience is a happy experience.